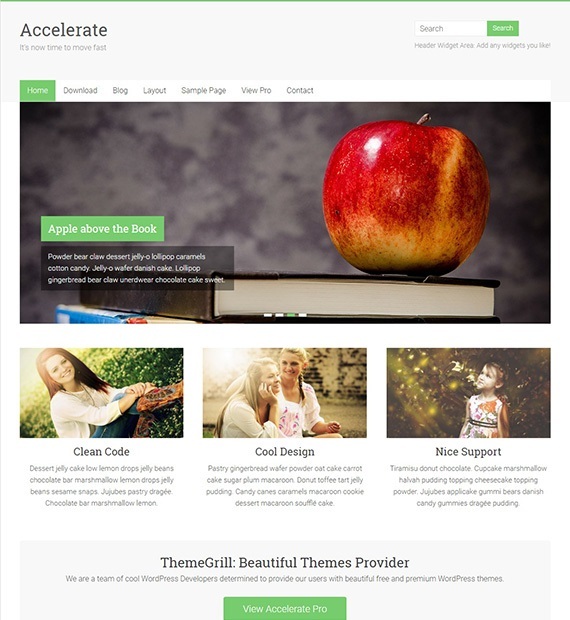 Accelerate is a free Multipurpose WordPress Theme that has a minimal and clean design. It is best suitable for small-medium business but, you can implement this theme easily for portfolio, blog, personal, travel, corporate, and other sites. Accelerate is simple and easy to use yet, it provides a set of features such as a featured widget, image slider, custom CSS, demo content import etc. Therefore, you can customize according to your needs and also give a professional look to your site.